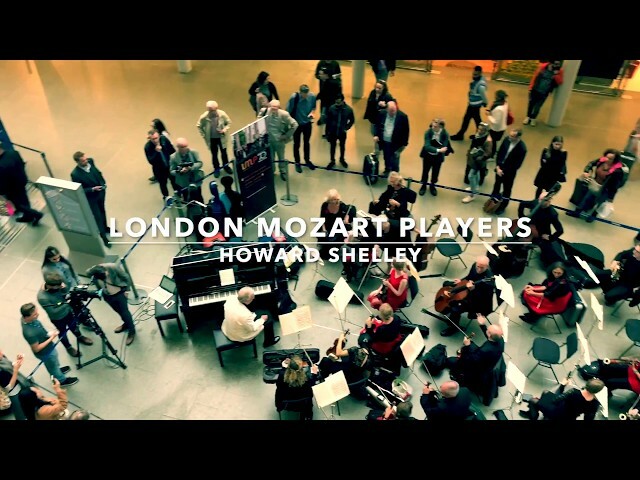 Beautiful music surrounds St. Pancras as the London Mozart Players and Howard Shelley perform Mozart’s Piano Concerto No.21 in the station’s busy Arcade. Classic FM also streamed the orchestra live on their Facebook page (link in comments). The Tasmanian Symphony Orchestra performs at Government House, Hobart. 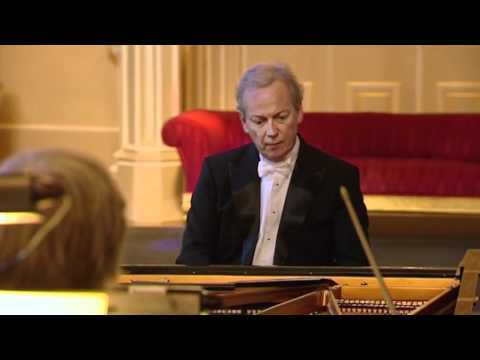 Ferdinand Hiller: Piano Concerto No. 2, Opus 69 3rd movement: Allegro con fuoco. Directed from the keyboard by Howard Shelley. 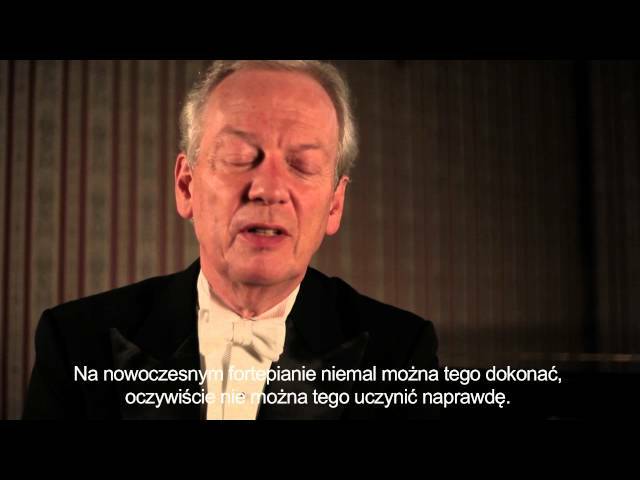 Interview conducted by: Agata Mierzejewska, directed by: Katarzyna Kasica, produced by: Three Mirrors Poland for the Fryderyk Chopin Institute. ‘Howard Shelley performed as a pianist and conductor with the Nuremberg Symphony. With double success. ‘Howard Shelley gastierte bei den Nürnberger Symphonikern als Pianist und Dirigent. Mit doppeltem Erfolg. ‘He conducts and plays without any mannerisms. His interpretations reflect a profound musicality, a beautiful tone and a delicate feeling for the style of the works … Shelley’s masterful virtuosity and deeply felt poetic interpretation made this an experience never to be forgotten’. ‘The second half featured the Eroica itself, during which Shelley directed the Ulster Orchestra in one of the best performances of its season. The innate beauty and drama of the second movement and the energy and musicianship of the finale were paramount in this sublime and revolutionary Beethoven masterpiece’. ‘No praise can be high enough to describe the masterful playing of this pianist. Such sympathetic music-making, with every gesture as conductor, every individual phrase and detail as pianist seeming to be mutually inspired, was simply spectacular’. Fur das meisterhafte Spiel des Pianisten kann kein Lob hoch genug sien. Ein so kongeniales Musizieren nämlich, bei dem jeder Wink des Dirigenten, jede einzeine Phrase und Pointe des Pianisten sich gegenseitig inspierierten, das war einsame Spitze’. ‘The evening was defined by the excellent Howard Shelley who moved between the podium and the piano with virtuosity and amazing two-fold talent’..
‘Dennoch wurde dieser Abend geprägt von dem smarten Howard Shelley, der mit seiner fantasichen Doppelbegabung virtuos zwischen Pult und Piano hin- und herpendelte’. ‘Shelley was, simply, dazzling. Brilliant. Electrifying. The orchestra was inspired, utterly in sync with the pianist throughout the entire concert’. 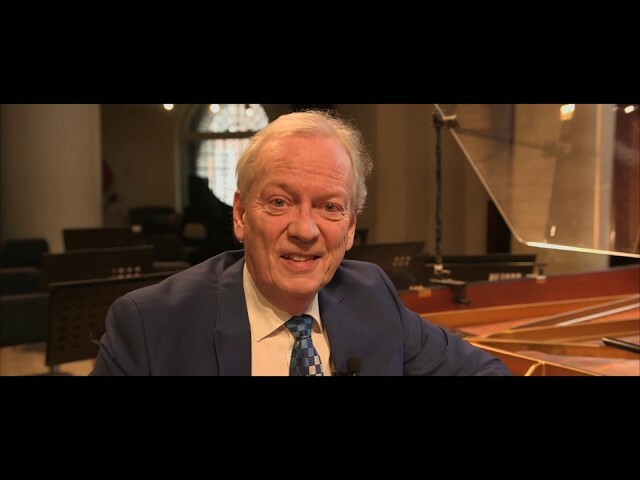 As pianist, conductor and recording artist Howard Shelley has enjoyed a distinguished career since his highly acclaimed London debut in 1971, performing regularly with renowned orchestras at major venues around the world. He has been closely associated with the music of Rachmaninov and has performed and recorded complete and award-winning cycles of that composer’s solo piano works, concertos and songs. In the last five years he has performed complete cycles of the piano concertos of both Mozart and Beethoven in London with the London Mozart Players. Most of his current work is in the combined role of conductor and soloist. This is reflected also in his discography which now exceeds 160 CDs, all highly praised. He has appeared in several television documentaries, including ‘Mother Goose’, a documentary on Ravel which won a Gold Medal at the New York Festivals Awards. As conductor he has worked with all the major London orchestras and many other orchestras in the UK and abroad including the Hong Kong Philharmonic, Singapore Symphony, Seattle Symphony, Naples Philharmonic, City of Mexico Philharmonic, Munich Symphony, St Gallen Symphony and Nuremberg Symphony. He has toured to Australia for over thirty consecutive years, and performs now as both conductor and soloist with the Melbourne Symphony, Adelaide Symphony and Tasmanian Symphony Orchestra – with the latter he has recorded seventeen volumes (and rising) for Hyperion’s Romantic Piano series. His long association with the London Mozart Players has been recognised by the title of Conductor Laureate. In 1994 HRH The Prince of Wales conferred on him an Honorary Fellowship of the Royal College of Music and in 2009 he was awarded an OBE for services to classical music.